The Elora Singers (TES), an all-professional Grammy- and JUNO-nominated chamber choir was founded in 1980 by Noel Edison as the principal choral ensemble of the Elora Festival. 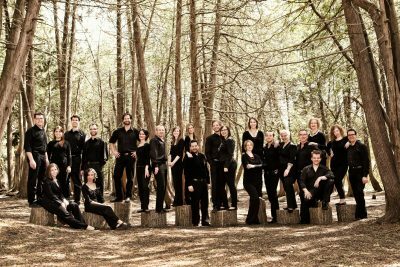 Since 1997, the choir has been the core of the Toronto Mendelssohn Choir and the Toronto Mendelssohn Singers and is the choral ensemble-in- residence of the Elora Festival for four weeks each summer. 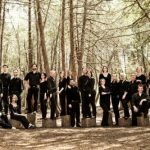 Through regular concert series, recordings, broadcasts, and touring, TES has established a reputation as one of the finest chamber choirs in Canada and beyond, contributing to the musical life, not only to the community but on the international stage. The choir is renowned for its diverse styles, for its commitment to Canadian repertoire, and for its collaborations with other Canadian artists.